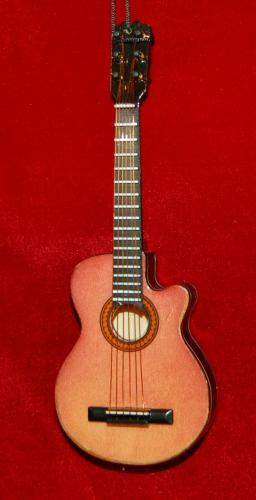 Today's 6 string acoustic guitar has a long history behind it, dating back to the 5 and 4 string guitars of the Middle Ages and into antiquity. 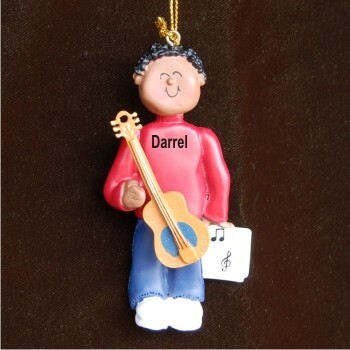 Our acoustic guitar ornament collection is completely hand crafted and of the highest quality. 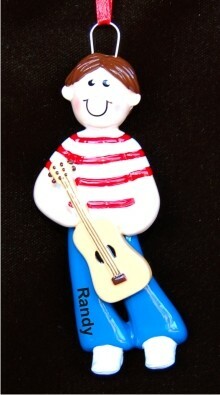 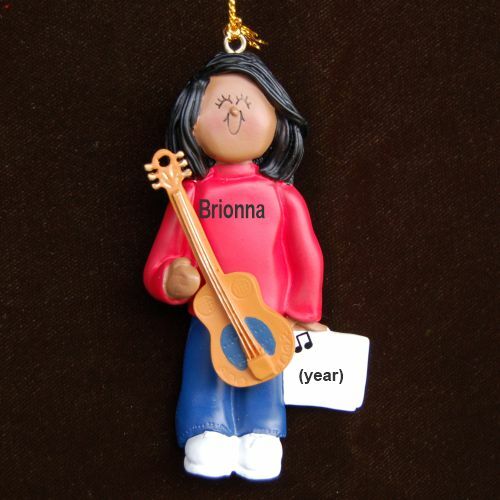 A guitar ornament personalized for a special girl or boy makes a memorable gift that they'll be able to enjoy for many years to come. 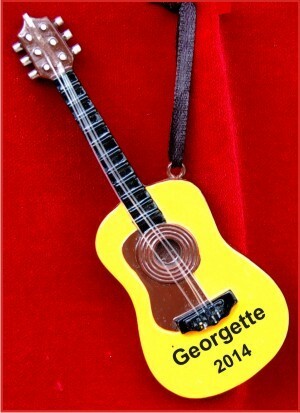 As noted, our acoustic guitar Christmas ornaments arrive in our exclusive black velvet gifting pouch for that added personal touch. 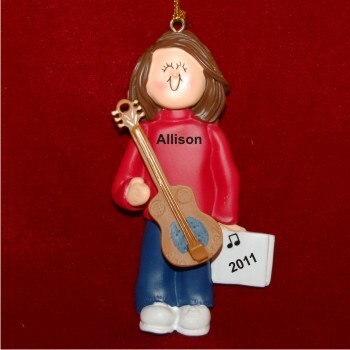 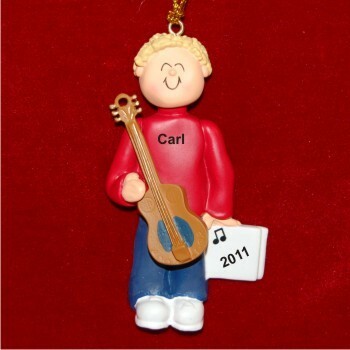 Click on the Contact Us link below if you're needing to order acoustic guitar ornaments bulk for your band, orchestra or as party favors. 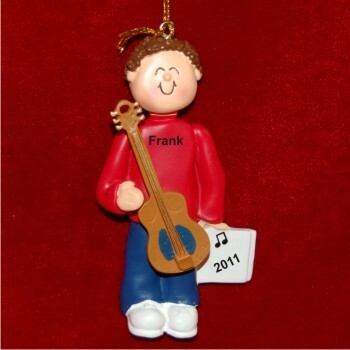 We're happy to put together a custom ornaments package for your exact needs.